In the morning, instead of using water to wash your face, you can use some cool ice cubes. Rubbing these cold ice cubes on your face facilitates blood circulation, rejuvenate the skin, iron out wrinkles and bring you a natural and radiant rosy white skin. Use a medium sized ice cube and rub it on your face and neck in different directions. Then clean your face by a soft towel and apply your daily face lotion. Rub the ice cubes wrapped in the cloth on the swollen skin areas in one or two minutes. Until the skin is numb by the cold, stop for a minute and then continue to rub the ice cubes. 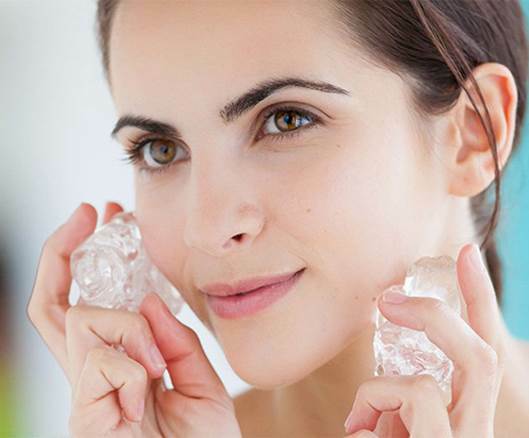 Ice cubes will help to relieve the irritation and discomfort caused by acnes. With this method, you can eliminate acnes within three days. 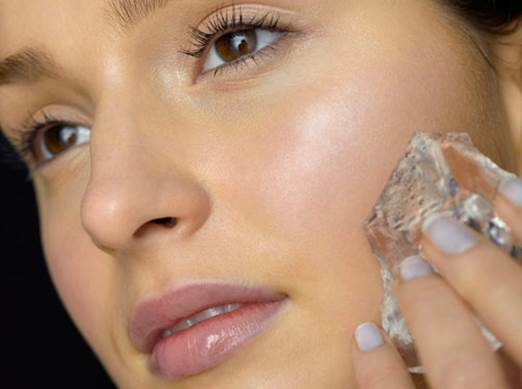 Don’t be afraid to rub the ice cubes on your face and combine with facial massage every day. This will help to shrink the epidermis, constrict pores and reduce excess oil on your face without too much sophisticated care. Pureed cucumber, tomatoes or mango, watermelon… then add some water and pour it in an ice tray and put it in the refrigerator. 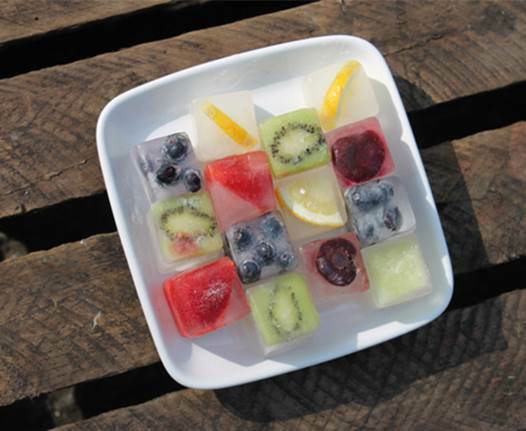 In the evening, you can use these ice cubes made from fruits to rub on your face to exfoliate dead skin and provide nutrients for your skin with vitamins contained in the fruits. Ice can promote fat burning process and help to strengthen connective tissues in the abdomen. Therefore, to get a slim waistline, rub the ice cubes wrapped in a cloth on the abdomen. Remember, don’t rub the ice cubes when you are too full or in cold weather as this will cause abdominal pain.